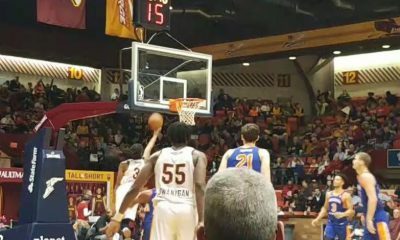 The Canton Charge lost their second game of the month, 108-105 to the Westchester Knicks. The Charge had defeated the Knicks 120-112 in their previous matchup. 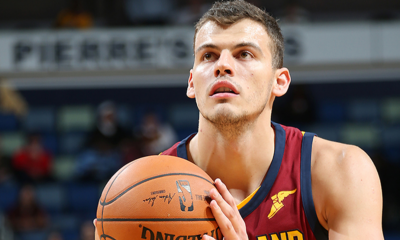 In a game without Quinn Cook or Kay Felder, both on call-ups to the New Orleans Pelicans and Cleveland Cavaliers respectively, the Charge’s guard-centric attack fell by the wayside early as only Cameron Jones, Eric Moreland and Larry Sanders were able to establish themselves early on. Moreland, who scored the first points of the game for the Charge as he corkscrewed his way to the rim, had four of the Charge’s first nine points. The Charge led 31-24 at the end of the first quarter, in large part due to Moreland and Jones but also due to John Holland, who kept attacking the rim and, Larry Sanders. As Holland struggled from the field in the first half and the Charge couldn’t keep Maurice N’dour off the boards, head coach Nate Reinking managed to get points in the paint and rebounds from Sanders. Sanders’ first point came off of a lob with a little more than 7 minutes left in the first quarter. Sanders made his impact felt early on both ends of the court, much in the way that Moreland had. It wasn’t long before Reinking opted to put both Sanders and Moreland in the game. By the end of the first half, Moreland and Sanders had combined for 13 of the Charge’s 52 points, as well as 7 rebounds and 5 blocks. Jones, had 11 points and 5 rebounds before halftime and seemed to be the only guard who seemed to be able to get it going in the first half. Unfortunately for the Charge, it wasn’t just the offensive side of the ball where their perimeter unit struggled. Travis Trice II, Doron Lamb and Chasson Randle routinely made plays for themselves and others, as the Charge were outscored 28-13 in the second quarter. In the second half, as Holland started to heat up along with Jordon Crawford, the Charge continued to give up too many points to Trice II and Randle. Unfortunately, Sanders and Moreland weren’t able to contribute much to the scoring as Crawford, Holland and Jones took the bulk of the shots and a lot of three-point attempts. The Charge were able to get the lead down to two points before the final period. 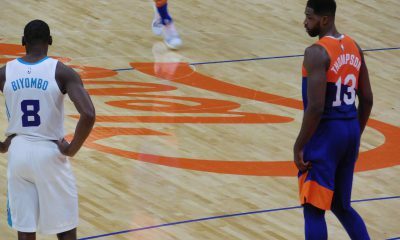 However, their inability to stop the Knicks from scoring at any point during the game and their inconsistency from three-point range came back to bite them. Sanders would finish the game with 8 points, 6 rebounds and 3 blocks. Moreland would finish with 10 points, 12 rebounds, 3 steals and 3 blocks. Holland, who went 9-20 from the field and 6-14 from three-point range, finished with 28 points and 6 assists. Crawford and Jones combined for 31 points by going 13-30 from the field but 3-11 from three-point range. Mike Williams added 11 points and 5 assists. For the Knicks, all five starters finished the games in with double-digit scoring figures, led by Trice II and Randle who had 26 points and 23 points respectively. They also combined for 18 assists, a stat that highlights the passing display the Knicks put on all night. Ndour and Lamb combined for 33 points. 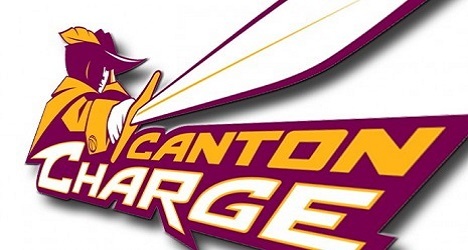 The Canton Charge will play the Grand Rapids Drive in their next game, scheduled at 7PM (EST) on March 31st. 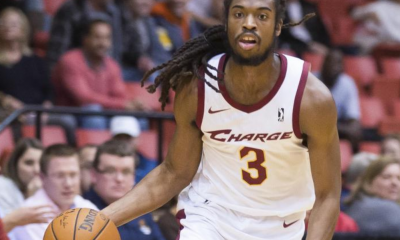 The Charge clinched a playoff berth on March 25th as the Delaware 87ers lost to the Windy City Bulls.